We will pick you up at Silangit International Airport or your accommodation at Balige. We will drop you off at your original departure point. Upon arrival at Silangit International Airport, our representative will greet you and then take you straight to Huta Ginjang. 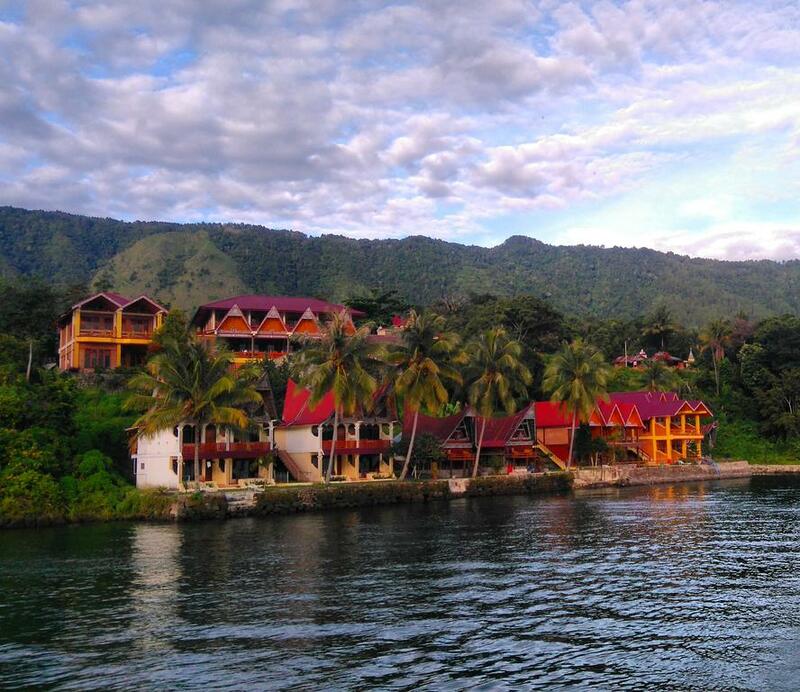 You will get the first view of Lake Toba within 30 minutes of your arrival. 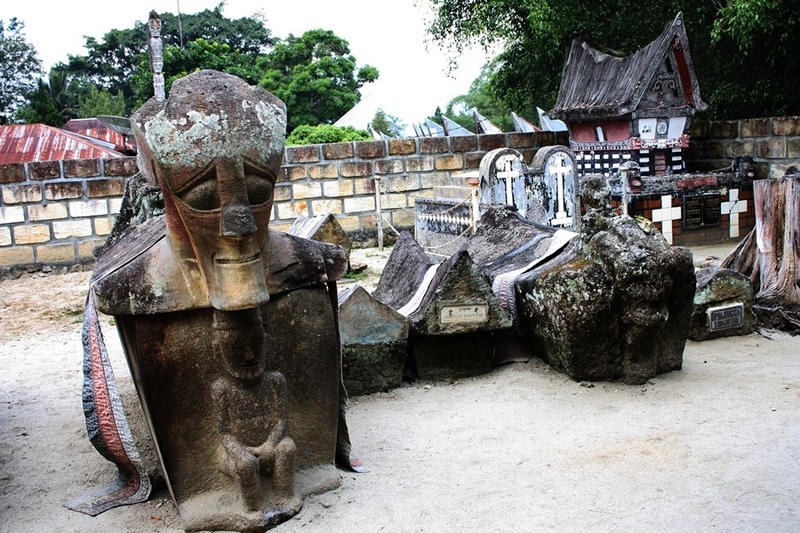 From Huta Ginjang, proceed to the Tomb of King Sisingamangaraja XII and T.B. Silalahi Batak Museum at Balige. You will have lunch at the museum. 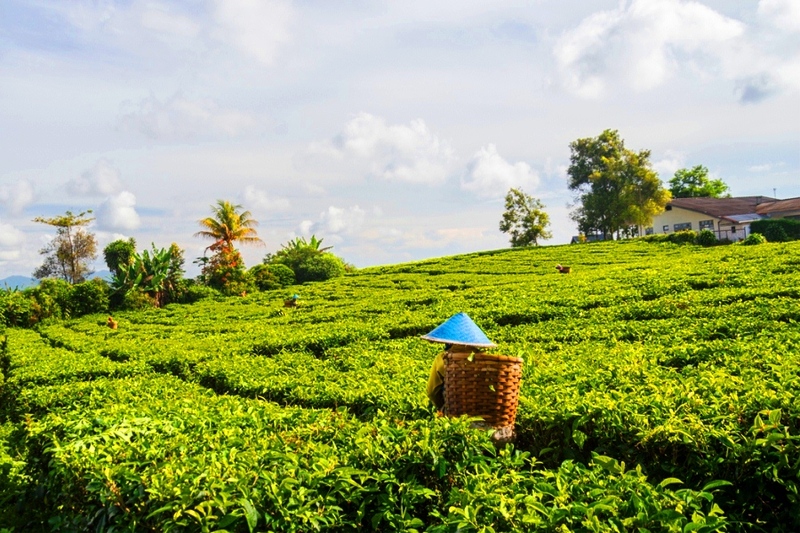 After lunch, travel to Bakkara Valley where you will visit Aek Sipangolu, Sisingamangaraja Palace, Janji Waterfall, and the viewing post of the valley. In the afternoon you will return to Balige and check in the hotel. 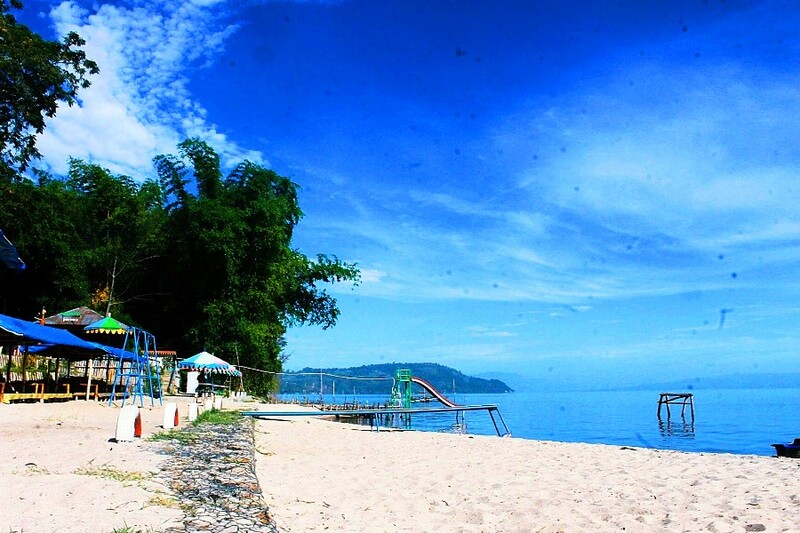 Enjoy your dinner at one of the restaurants at Lumban Silintong Beach. 06:00 Depart hotel to take a ferry trip across the crystal clear waters of Lake Toba to Samosir Island. It is a large volcanic island in the middle of Lake Toba and has claimed to be the fifth largest lake island in the world. 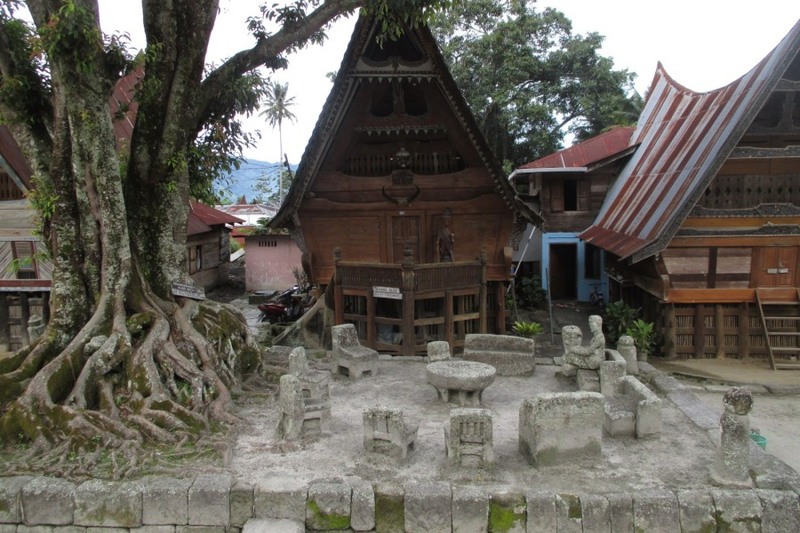 The island is the center of the Batak Toba culture, and many of this people’s artifacts remain on the island. 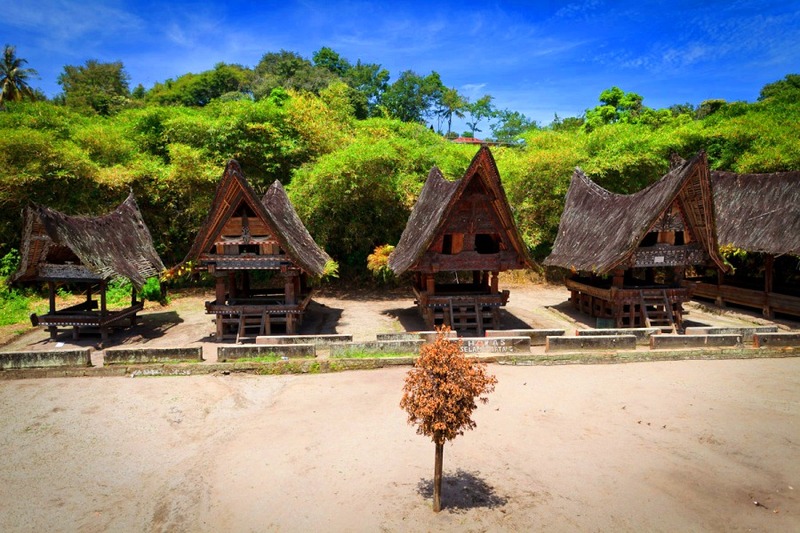 We will make a visit to Tomok, a village of the Batak Tobanese to see their traditional roofed houses and the ancient stone tomb of King Sidabutar. 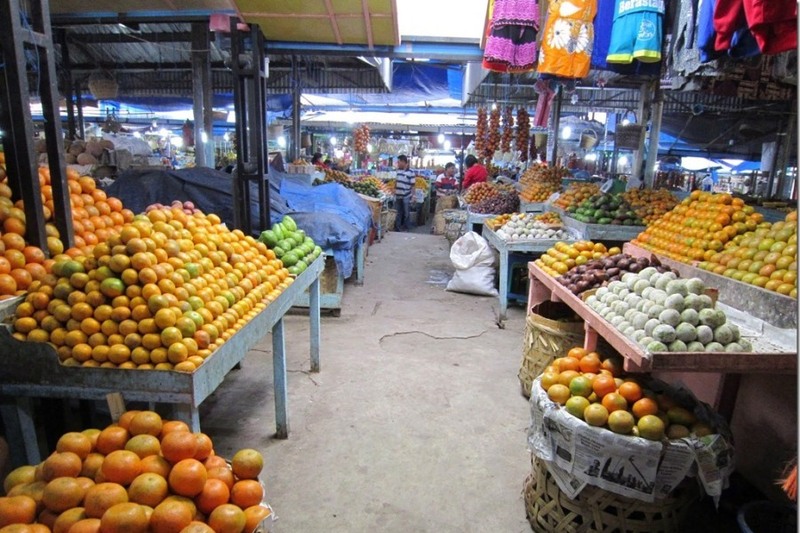 Here, you will also find a good bargain of souvenirs made by the locals. Then, we are off to Ambarita to visit Simanindo Batak Museum, where you can see the Tortor show that features Sigale-gale dance. It is another village of Batak Tobanese where the ancient King’s house, courthouse and the execution place called Stone Chairs of King Siallagan remain preserved. Afterwards, we will check in the hotel in Tuktuk, and you will have free time to do water sports (optional, on your expenses), such as jet ski and kayaking on the beautiful, pleasant lake. After the breakfast, you will catch the ferry to Parapat. 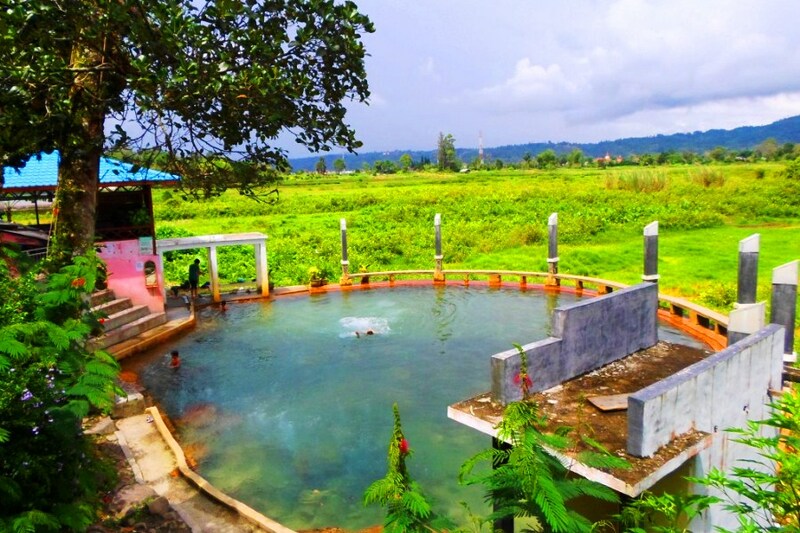 Proceed to Simalem in the Karo Highland. 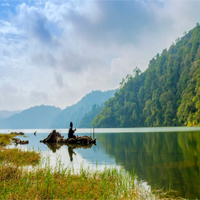 Stop briefly at Tigaras and Bukit Indah Simarjarunjung where you can sit and relax to enjoy the remarkable view of nature. After lunch, hop back to your air-conditioned car and head off to Sipiso-Piso Waterfall. It is a splendor stream of water falling from a great height in Karo Highlands. Stop by Tongging to view Lake Toba from the top. 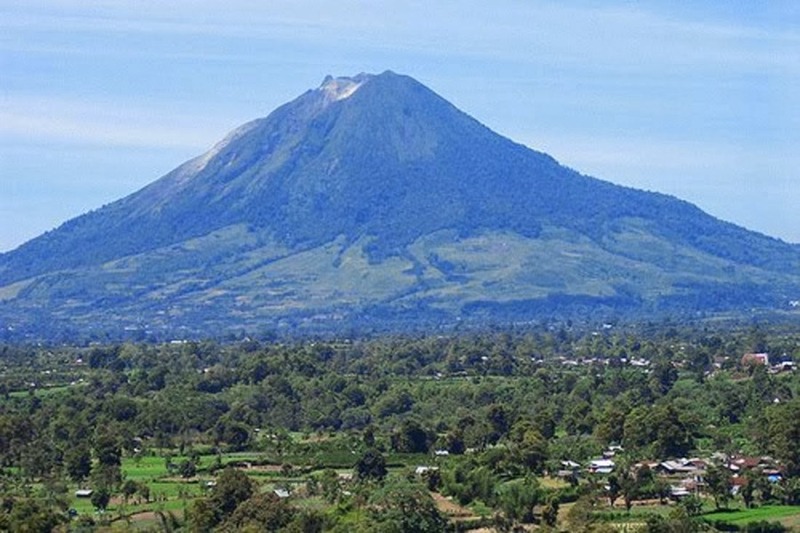 From there, you can also enjoy the superb view of the two volcanoes, Mount Sinabung and Mount Sibayak. We will also visit Gajah Bobok Hill or its nearest view. Then you will be enjoying our last stop of the day, the amazing Taman Simalem Resort. Check in the hotel upon arrival. 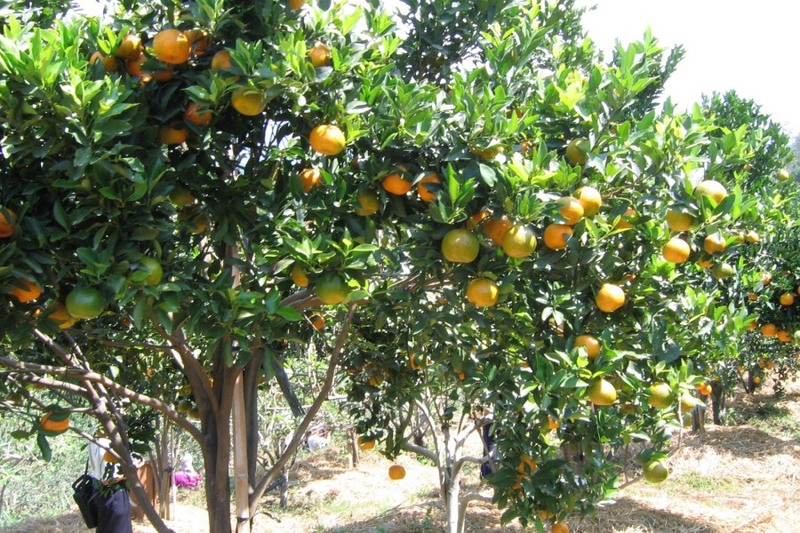 Today, you will have a full day at Taman Simalem Resort. 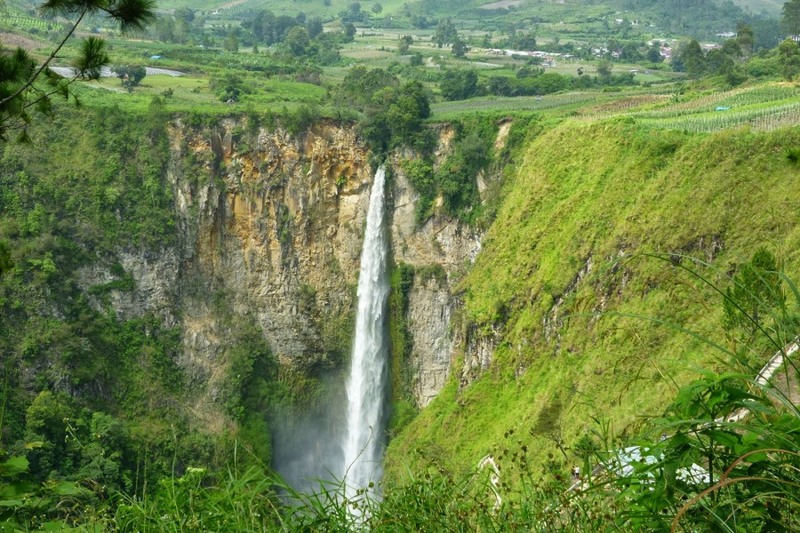 Enjoy the view of the amazing landmarks of Lake Toba. You have a free time for the whole day, during which you can participate in the programs provided by the resort. Click here to see them. Enjoy BBQ or other dishes at dinner. The park entrance fees and the meals are in your tour package. You will need to pay for the individual programs you are participating. Head off to the airport (3.5 hour-drive) after breakfast (or before it depending on your return flight schedule). On the way to Silangit International Airport, you will stop by Sidikalang. 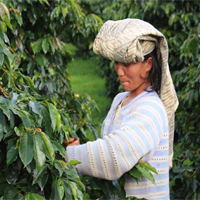 Sidikalang is best known for its coffee plantation. 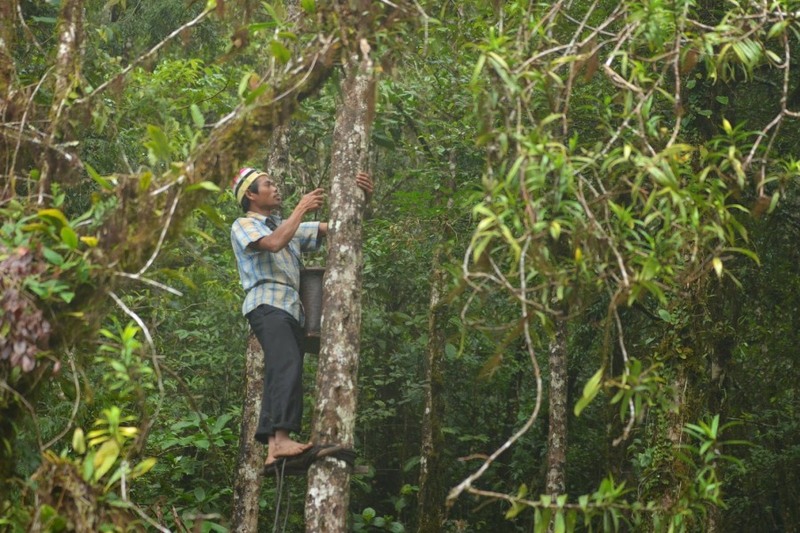 We will pass the thick rainforest of Sumatra. We can make more stops, such as Paropo and Silalahi Beach, on the way depending on your timetable. The ride offers the magnificent view of Lake Toba that is entirely different from what you have got in the previous days. You will end your tour as soon as you reach the airport.